The five faculties offer students new models in business and economics, innovative engineering solutions, cutting-edge organic agriculture applications, and comprehensive health care. Teaching is geared towards sustainable development through advanced dynamic curricula, developed in partnership with international educational and research institutions. All degree programs are accredited and based on the credit hour system, easily transferable into the European Credit Transfer System (ECTS), which allows for international mobility. 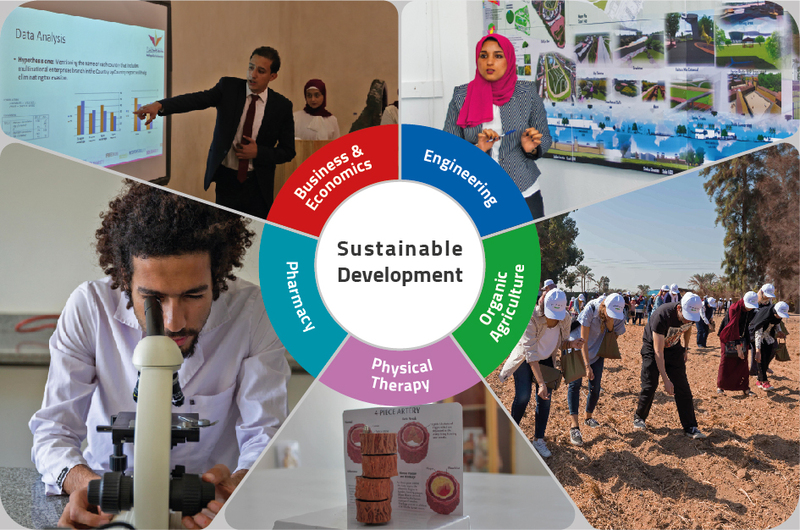 Graduates of all faculties are specifically qualified to work on environmental issues in all fields and eligible for postgraduate studies in Egypt and/or abroad.